View More In Lava Lamps - Page 5. • Glass globe with a steel base and matching cap • Soothing, slow-moving bubbles • Hand-painted • Decals on the globe, base and cap • Sturdy construction The Lava Lite The Beatles Sgt. Peppers Lava Lamp brings a retro vibe to your room. 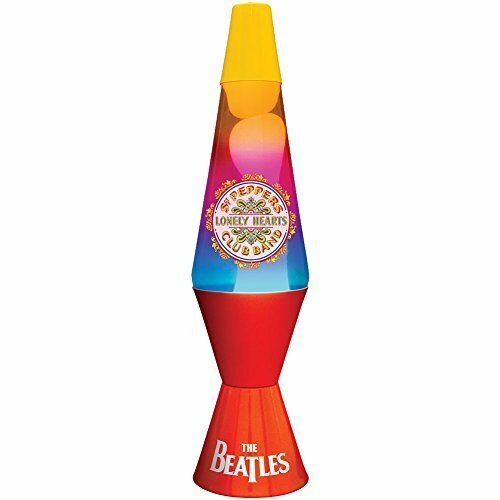 Highlighting the iconic art from the album cover, this mesmerizing Beatles lava lamp casts a soft, calming glow. If you have any questions about this product by Lava Lite, contact us by completing and submitting the form below. If you are looking for a specif part number, please include it with your message.